I am so excited to be in NYC this week for some book events. Johanna and I will be signing Fika: The Art of the Swedish Coffee Break at three different spots in town this week, so if you are in the NYC area, drop on by. Book signing at the famous NYC Fika chain. You better bet there are going to be Swedish treats on hand. Book signing and afternoon fika at Nordic specialty coffee shop Budin, with coffee by the lovely Stockholm roaster Drop Coffee. Thanks to my friend Lindsey for the lovely write up in the New York Times’ T Magazine. The book is a delicious compendium of nearly 50 illustrated recipes inspired by Brones and Kindvall’s childhoods, equally fueled by Fika. The cookies, cakes and breads (including savory variants) tap right into a growing, universal quest to achieve a more laid-back European lifestyle. “As a Swede who lives outside of Sweden and who loves baking, it’s impossible not to think that the rest of the world needs Fika!” added Kindvall, who illustrated the book. 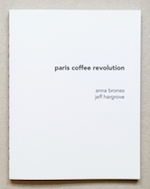 To aid readers in integrating the practice into their own lives, Brones and Kindvall trace the history of the concept and cleverly lay out all the necessities from baking tools and methods to mastering the Fika vernacular, and include suggestions for where (anywhere! ), when (all the time!) and how to enjoy it. Fika: The Art of the Swedish Coffee Break is Finally Out! There was a part of me that was a bit nervous that the release date of Fika: The Art of the Swedish Coffee Break would be a bit anti-climactic. I already received an advance copy of the book earlier this year, and after having worked on this project for the last two years, I know it inside and out. How exciting could the release date really be, particularly given that I’m not even in the US to celebrate it? 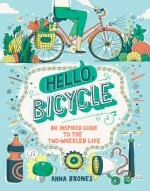 As it turns out, book publication day is kind of like a birthday. It’s exciting. And it’s worth celebrating. I’ve got a behind the scenes post up on Foodie Underground today looking at all that went into publishing Fika. If I am reminded of one thing today it’s that good projects take time, and that it’s always worth investing time in the things that you love, even if you can’t see the immediate payoff when you start them. Now, to go and celebrate. Because life is short, and as my mother would say, you should celebrate often. As the countdown to the release date of Fika: The Art of the Swedish Coffee Break gets shorter and shorter, I am getting more and more excited about this book finally making its way into the world. Mostly because I want everyone to be having a little more fika in their everyday lives, but also because I want to hear what people think about it. 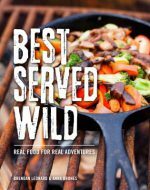 I was honored to read that one of the food bloggers who I have been following the longest – Clotilde of Chocolate and Zucchini – listed it as her most anticipated new cookbook in a roundup of food bloggers on Publisher’s Weekly. Coming from someone whose own cookbook sits on my kitchen shelf, that’s definitely a notable mention. Thank you Clotilde! Fika is officially out on April 7, 2015, but you can pre-order it now. Click here for a list of places that sell it. Oh, and that awesome tote bag? I snagged that at the cafe/restaurant Fika in London. You can get your own here. Go Stuff Yourself with Semlor! Happy Fat Tuesday – in my world, known as the Dfficial Day of Stuffing Yourself with Semlor. The iconic Swedish baked good served before Lent is one of my favorite things to make this time of year, and I have a whole article about semlor up on Paste this week in celebration. 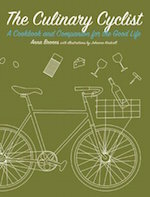 There’s also a great article on the topic on NPR’s The Salt by fellow food writer Anne Bramley which is definitely worth a read. Here’s a little dirty secret for you: there’s a recipe for semlor in my book Fika, which is out on April 7 (yes, I have already started counting down). But if you can’t wait that long, and you really want to make some today, you can use this recipe. Every year the food and cooking magazine Saveur does the Saveur 100 – essentially their list of 100 dishes, people, restaurants, ingredients that food lovers will take inspiration from. 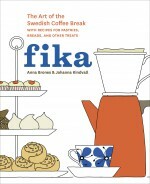 I am so honored that my upcoming book Fika: The Art of the Swedish Coffee Break got a mention. Spot #6 as dedicated to “Snacking Like a Swede,” and the Fika book not only got a mention, but one of the recipes was featured as well: Swedish Cinnamon and Cardamom Bread. There are some other pretty cool things on the Saveur 100 list – like using burnt toast as an ice cream topping (?!) and sharpening Japanese knives with newspaper – so get your hands on a copy if you can. Ok, so it’s almost here. And when I say “it” I mean the book that Johanna Kindvall and I have been working hard on over the last couple of years. As I have learned, book writing and publishing is a long process, and I am so excited to almost be at the most exciting part: the moment where the actual book sits in my hands. But for now, at least the book is alive on the Internet, and it’s available for pre-order, which means you can snag a copy and diligently wait for it to come to your mailbox in spring. Love Swedish baked goods? Ever wonder how to make a real Swedish cinnamon roll? 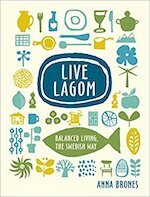 Want to try to be more Scandinavian? Then this book is for you. 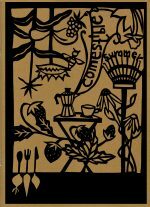 Packed with traditional recipes for cookies, cakes and breads, this book is all about celebrating the Swedish tradition of fika, otherwise known as the quintessential Swedish coffee break. Drooling already? You can preorder from my favorite bookstore of all time, Powell’s, as well as Amazon, B&N, IndieBound, Google Books, and iBooks. Now, let’s all begin the countdown to the April 7, 2015 on sale date!